#23. 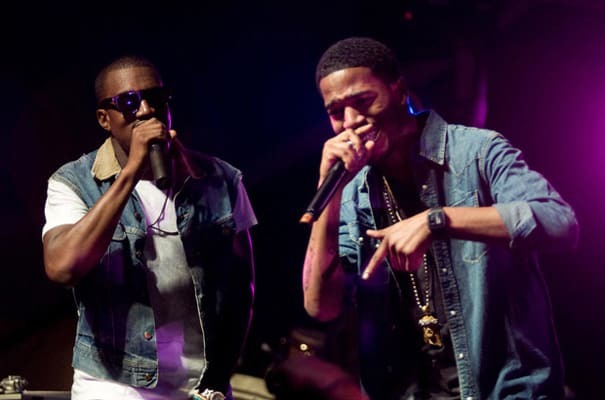 Kid Cudi f/ Kanye West "Erase Me"
Best line: "I'm Yeezy, she said, 'Hi, I'm Maria'/No, you an angel. You wave 'Hi' to Aaliyah." Complex says: Yeezy's verse is a much-needed dose of hip-hop on Kid Cudi's pop-punk-leaning single, and because of the tepid reception of the song as a whole, some may have overlooked the awesome verse. Not only does "Erase Me" have one of ’Ye's sharpest flows of the year, but we were more impressed by the way we carried the same rhyme from "No, you an angel/You wave hi to Aaliyah" to the diarrhea pun at the end of the verse.